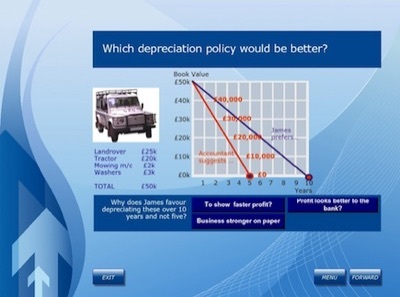 This "finance for non-financial" course was originally developed for a major high street bank, so that staff could assess the creditworthiness of commercial customers who were applying for asset finance. It is equally appropriate for anyone running a business who needs to interpret a set of annual accounts prepared by an accountant. You can buy "Understanding Accounts" on interactive CD-ROM from us for £20 + VAT or take an online version of the course with LearnDirect. Corporate Trainers can buy a licence for either the disk or online version. 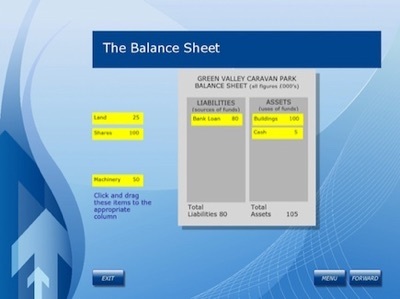 Understanding Accounts explains the financial concepts of Assets and Liabilities, Liquidity, Depreciation, Equity and Loan Capital, Retained Profits and Gearing, and shows how to use Accounting Ratios to identify trends in a company's financial performance. It is a complete Finance for Non-Financial Managers course, based on a training course run by Nick Rints for a major bank and a leading business school. 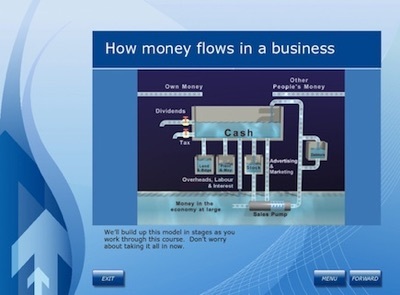 It explains how to interpret the various elements of a set of annual company accounts - profit and loss / income statement, balance sheet, cash flow statement - illustrating this learning material with two fictional video case histories and providing a variety of interactive exercises. To order use the "Buy Now" button or contact us. The secure transaction will be handled by PayPal. You can either use a credit/debit card or a PayPal account. We will send a VAT receipt with your order.